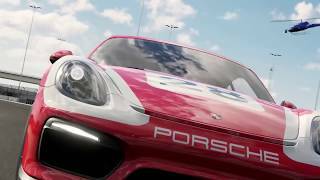 Developers Turn 10 Studios have been leading the way for racing games on Xbox with the Forza Motorsport franchise for years and across multiple console generations. This exclusive car simulation series has always managed to balance great gameplay with awesome presentation and a high level of polish, delivering an almost-expected high quality experience with each outing. Things did stumble a bit for the launch of the Xbox One with FM5, but the next iteration in FM6 corrected all that and helped the series return to form. 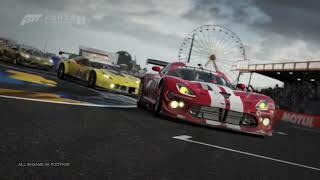 Now, for its third title on the current Xbox hardware, the developers looked to expand the immersion of track racing via added weather effects and new gameplay options. And while the on-track experience in Forza Motorsport 7 remains very good, a number of missteps in overall design and career mode harm the overall impressions of this latest entry. At this point, the collection of cars in the Forza franchise has reached incredible levels. There are over 700 vehicles to be found in the game, from the classics all the way to the newest 2018 models, spanning a ton of different manufacturers, racing disciplines, and historical significance. Granted, a lot of these cars have been added over the course of the last few years, from FM5 through Forza Horizon 3, but it's still quite an incredible collection. Most of the totally new additions to FM7 are largely focused on the likes of Formula E, new Team Racing cars, and headliners like 2018 Porsche 911 GT2 RS. There’s a new Special Vendor that offers rare cars at a discount for a limited time, and Forza Edition cars which include special bonuses like added credits or experience. All of the cars are accessible in Free Play as rentals, letting you take to the track with any number of these high powered beasts at any time on your own, against AI Drivatar opponents, or in split screen play. The tracks offer a similar breadth of variety, and most are carried over from past games. The new fictional Dubai circuit is a convincing set of winding curves and elevation changes, and feels more enjoyable than FM6's Rio de Janeiro. Obvious staples like Watkins Glen, Silverstone, Nürburgring, Hockenheimring and others are included, in addition to tracks like Homestead-Miami Speedway that were originally DLC for FM6. Suzuka and Maple Valley make their return. In total the game offers about 30 racing environments/tracks, which are comprised of tons of combinations, be they full, north/south, alternate, reverse, and other versions of the track. You can also extend any race to be long or extra long to make it an endurance event. There's definitely a lot of racing variety to be had. Your AI opponents are based on friends and other people, Drivatars, and they have a new aggressiveness limit setting, but it’s still not that efficient at stopping them from performing PIT maneuvers on you. The AI rigidly hold the racing line, and push to the side anything getting in their way. Another oddity is that the finishing order is usually the same, every single race in a series. This means that to win a Series, you should come in first more often than not – otherwise, the same AI drivers will steal the title as they always finish second/third and will overtake you in total points on the leaderboard. All of the cars feel exceptional to drive, and depending on what assists you choose, Forza can be as challenging or as accessible as you make it. The damage model can be tweaked from visual only to simulation, as well as the added option for Fuel and Tires only. The handling model is great, whether you’re ripping through corners in a hatchback or slipstreaming past opponents on a long straight with a supercar. Some tracks feature varying times of day, as well as nighttime racing, and it is very visually impressive to watch the sun rise or set during a race. Following the introduction of static rain conditions last year, the weather system has been expanded to now feature multiple different rain-related conditions; from a light drizzle, to rolling fog, to all-out thunderstorms that blacken the skies, the race conditions can change quickly and present drivers with a new level of challenge and reduced grip. Unfortunately, these new night and weather conditions are only possible on less than half the tracks, so there’s still seemingly room for improvement. But while the racing itself remains rather excellent, it’s in the rest of the game that Forza Motorsport 7 hits unexpected hurdles. Since the amazing free-form single player career design of Forza Motorsport 4, the series has been slowly becoming more restrictive in its campaign, but still offered plenty of choice. But with FM7, a jarring and overly restrictive set of changes have been made that bring the entire experience to a grinding halt. You’ll be working your way through 6 Championships, each containing a number of Series based in a specific car division, which in turn contains between 5 and 6 races. Each Series focuses on a specific car division, and the sheer number of division is greatly expanded, from Modern Hot Hatch to Super GT. While this all sounds okay in theory, the campaign is bogged down by a new system called Homologation. Fans will be familiar with cars in a racing sim having a specific “class” based on their performance indexes, from D to S1 and beyond. While FM7 still retains this system, it becomes secondary to the Homologation rules. These rules dictate the exact tire compound, width, horsepower, and performance index values that must be used in order to participate. These extremely strict Homologation requirements, combined with the already very specific car types for each Series, means that just a small handful of cars can participate. This is a problem with two major sticking points – the major issue here is that the series’ famous mechanical customization goes out the window, and two, it means the career mode is constantly draining your credits, as you must buy new cars for each new series. Let’s expand on those two problems. With the strict Homologation rules, the very backbone aspects of the Forza experience is gone – taking a beat up Civic and seeing how far and how fast it can go, upgrading it to be competitive in a variety of car disciplines and performance ratings. Now you can only literally use it for one Series, oh and the car already comes pre-built for the correct Homologation parts, so there’s not even a need to ever visit the upgrade menu, at all. You can still make tiny tweaks, but they have little effect on your performance because otherwise the car becomes illegal to race in the event. It’s an incredibly limiting design decision that takes makes the entire upgrade aspect of the game almost irrelevant. The second issue is that on top of the Homologation rules, the Series are highly restrictive with the cars that are allowed to participate. This means that you’ll be constantly required to buy new cars, to participate in future events. As an example, by the penultimate Championship, we had over 50 cars in the garage which seems like plenty, but yet barely a few qualified for the forthcoming series. The game seems to purposefully offer as many different Series restrictions as possible, so it never feels like you’re making progress or can use your favorite car more than once or twice. You might as well skip the newly added Racing Trucks series, because who wants to drop 200k credits on a vehicle that you’ll never be able to use in another series again? So while FM7 may not be overly restrictive as far growing your car collection goes, when they can only be used in a few events, it still feels like it. Another mild and entirely superfluous restriction comes in the form of Car Collection Tier. There are five tiers of cars, and you can’t buy the cars in higher tiers (which are typically more expensive and better performing) until you’ve reached that tier. To increase your Collection Tier, you must simply buy cars, which come with a rarity rating that increases the meter and gets you closer to the next tier. It’s an entirely arbitrary system that burdens the career mode with yet another restriction, forcing you to play the way Turn 10 want, and not the way you want. It takes quite a few car purchases to reach Tier 5, when all vehicles at least become available to buy; the game puts a few Series that require Tier 4/5 cars in the first two Championship series. It makes little sense, and all it does is limit your options even further during the early parts of the campaign. Plus, your Collection Tier number is what is displayed next to your name throughout the game and in multiplayer, instead of your driver XP level. This change just feels disingenuous and tacky. The constant need for new cars is going to drain your credits balance, and in either pure coincidence or a cruel twist of fate, the economy in Forza 7 has been redesigned quite noticeably to reduce your income. Fans will recall that in previous games, turning off assists and thus making the racing more challenging would award you with extra credits – that is no longer the case, and thus your income is reduced. At least turning up the Drivatar difficulty still nets you some extra credits. Fans will also recall the well implemented Mods system from FM6 – where you purchase mod packs, which contain limited-use challenge cars. You equip them before the race, and completing the objective netted you more money. FM7 still features this system, but it’s been stripped down; the Mods feature much less variety, and the price for mod packs (now called crates) has been upped. Still, they are worth using if you stick with the basic mod crates and have the skills to complete the simple objectives (staying on track, finishing 5th or better, and so on) . The abovementioned crates come in two varieties – a mods crate and a mixed crate. The rather expensive mixed crates are guaranteed to include Driver Gear, an emblem, and a car. The Driver Gear is a new feature, as now players have their own in-game driver avatar who can wear a large number of different suits; it’s entirely optional and just added visual customization to help you stand out. While including the crate system isn’t inherently controversial, the fact that FM7 crates include cars is concerning. Having tested a decent number of crates, which cost quite a bit of credits, most of the cars we got were usually much lower than the value of the crate. Sure, you could score a rare and expensive car one day with the 300k crate, but in general it seems to be an extremely poor investment. As in previous years, Forza 7 does not have real money microtransactions at launch, but they are expected later – how their addition will affect the already strained in-game economy, one cannot predict. The game does try to help players out with Milestone rewards each time you level up. Your driver profile increases every 25k experience points, and you get to choose one of three prizes – credits, a discounted car, or Driver Gear. The discounted - or sometimes entirely free - car tells you how much of a discount you get (as high as over 100k credits), the cash reward is usually only half that, and Driver Gear is… well worthless, technically. So you’d be crazy not to choose the offered car, every time. If you don’t quite have the money for it, rewards can be claimed later. The multiplayer offerings in FM7 also suffer from the restrictive car divisions that are set by developers, and the Homologation standards system. Essentially, you’re going to see a handful of the same cars over and over – the only cars that folks can afford, and the ones that are eligible. But perhaps this is where Homologation was meant to shine – it ensures, with much better certainty, that most of the participants will be on more or less even ground. The idea is that there won’t be vastly superior cars anymore, despite being in the same performance class, as was sometimes the case. But is this competitive focus really worth it? Is it worth losing the variety and crazy car tuning just to produce a fairer, and less diverse, playing field? Why not allow users to have separate events and leaderboards for Homologation limits, and those simply racing in the same car class? The online racing itself is functional, and both your and your opponents’ cars behave well enough. There’s no wrapping and teleporting, and if you can avoid the usual first corner massacre, you can get decent results. Though notably, the credits payout isn’t much different from the single player events, and you can’t use mods. Further, collision physics seem off in FM7 – even slightly bumping other players, regardless of who initiates it, will often send both cars careening off the track as if they’ve been hit by a ton of bricks. As in the campaign, there are no penalties at all for cutting corners, and some tracks have huge concrete covered shortcuts that players take advantage of. For those looking for a calmer experience, there are Private lobbies for friends to race together. Other franchise staple features, such as sharing tunes and liveries, are still around. The extensive visual car customization options continue to impress, though there’s nothing new to speak of. Creating and sharing your tunes can net you some money, but with the strict Homologation rules, many players may not even need to bother with this aspect of the game. But, Forza 7 also launches with a number of features still unavailable – the return of the Auction House would undoubtedly have a big impact, but it remains offline. The Forzathon events are bound to provide some limited time event variety racing, but they are not live yet. The revamped League system in multiplayer also remains out of action. In presentation, FM7 still strives to be a technical showcase for the Xbox platform, but the effort has perhaps shifted to the upcoming Xbox One X and the 4K aspirations. That’s not to say the launch Xbox One version looks poor – it’s a great looking game for the most part. The added dynamic weather produces some incredible scenery, combined with a changing time of day, for a very impressive atmosphere. Framerate remains unshakably steady at 60fps, and most of the car exteriors and interiors are highly detailed, whether during a race or in Forzavista. But there are a few minor hiccups – some jagged lines appear on cars and scenery, and textures can look rather poor for some distant scenery. There is notable object pop-in, from tops of palm trees to stacked tires, to the leaves on the road of Maple Valley. The music is okay, and could have used a few more songs. In-game audio is impressive as always, with the unique and deep growl of the engines dominating the soundscape. Menus can be quite slow and outright hang sometimes, and loading times into a race also are notably long. Thankfully though, while the track is loading you can continue to tweak your Mods loadout, change settings, and so on. Forza Motorsport 7 is a slight engine misfire for this consistently great franchise. If you’re here for the cars, the tracks, and the great racing – you are still going to be very satisfied and impressed. There’s no question that this is a polished and enjoyable racing simulation, no matter which way you look at it. It looks and sounds good, too. However, the major changes Series, Homologation, Car Tiers, and loot crates all combine to a surprisingly rigid, and linear experience that’s unlike what fans of the franchise expect. These long reaching changes affect most aspects of the experience, from the career mode to multiplayer, to the game’s economy. If you must absolutely have the most car-filled racing sim of the year, with a focus on evenly matched online racing, Forza Motorsport 7 remains a solid option. But fans of the more typical Forza career experience, with freedom of racing and customization, may as well consider the previous version. A great looking title, with impressive new weather effects, and only a few slight setbacks. Car audio sounds imposing. With great handling, that is both accessible and highly customizable, the franchise has pretty much nailed the formula. While there’s a wealth of cars and tracks to be enjoyed, a very rigid new progression system, questionable economy and restrictive car disciplines make this one of the least enjoyable campaigns in Forza’s recent history. The same rigid structure that the campaign suffers from also severely limits your options online. Overexaggerated collision physics cause frequent frustration. Some features like Leagues and auction house are still not available. Sluggish menus and long loading times are offset somewhat by being able to tweak things while you wait. 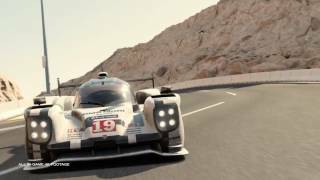 Forza Motorsport 7 has the largest car roster out there, great track simulation racing, and impressive presentation. But as great as the gameplay is, critical changes to the career mode, economy balance, and the new homologation system deflate this typically great franchise a bit. Forza Motorsport 7 is ranked #675 out of 1434 total reviewed games. It is ranked #59 out of 174 games reviewed in 2017.